In the previous years, you have learned that questions or problems are investigated and solved in an orderly manner called the scientific method. This process involves working with variables. But what are variables? 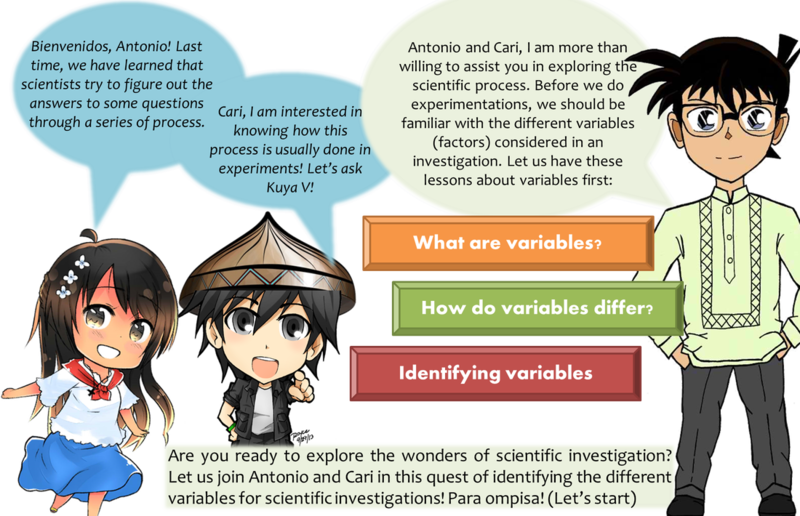 This is what we are going to investigate in this microsite about variables. The lesson in variables is divided into five sections-- guide section, activity sections, enrichment section, assessment section, and the reference section.